Social support is the take away tip in Turbulence Training Day 11. Home fitness workouts that'll burn fat and sculpt your body in 4 weeks. 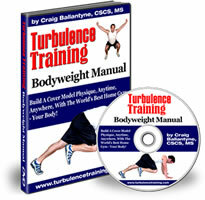 Welcome to day 11 of Turbulence Training's Buff Dudes and Hot Chicks fat burning workout. "Hello and welcome, I'm Asad from Better4Fitness.com. Today's Day 11 of Craig Ballantyne's Buff Dudes and Hot Chicks workout. Today's a rest day and as you can see I'm taking advantage of a friend's exercise bike. I'm just about to do a light cycle, nothing too heavy or intense. I'll just do a 10-15 minute cycle at low intensity, low pace and get some blood flowing around my muscles. I'm still on a high from yesterday's workout, which was grreat! I loved yesterday, I was on such a high. Got good sleep and woke up really refreshed this morning. Now I'm looking forward to tomorrow's workout. I'm not gonna make the same mistake I made last week (by being apprehensive), I'm going to attack it and go into it with a positive frame of mind. And we'll see what happens. So I hope you're following along with these workouts. If you're not, get to Better4Fitness.com and you'll see the links for the workout there. You can take ACTION today and start the workouts right now. Let me know that you have so I'll be here to support you and give you any help and advice on the way (social support). This is Asad, signing out from Day 11 of my workout and I'll see you tomorrow, take care."